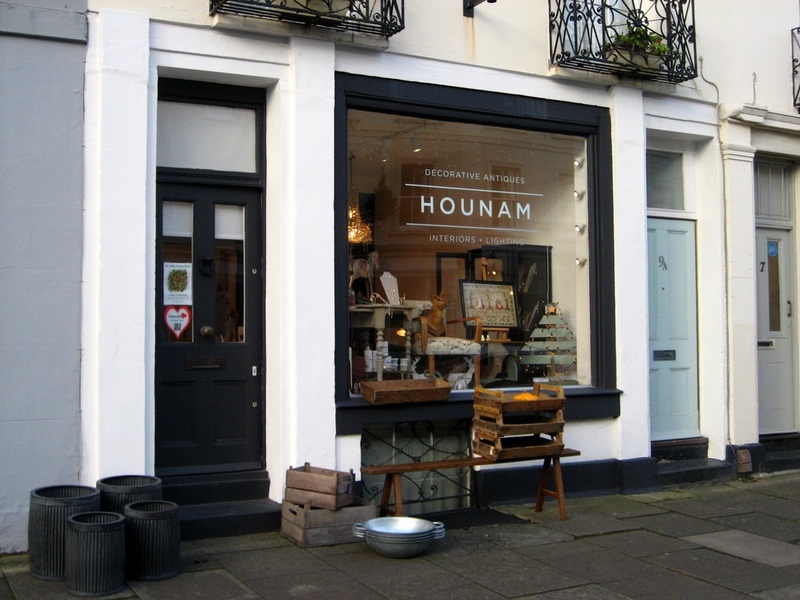 This property has been home to a wide variety of trades over the years. 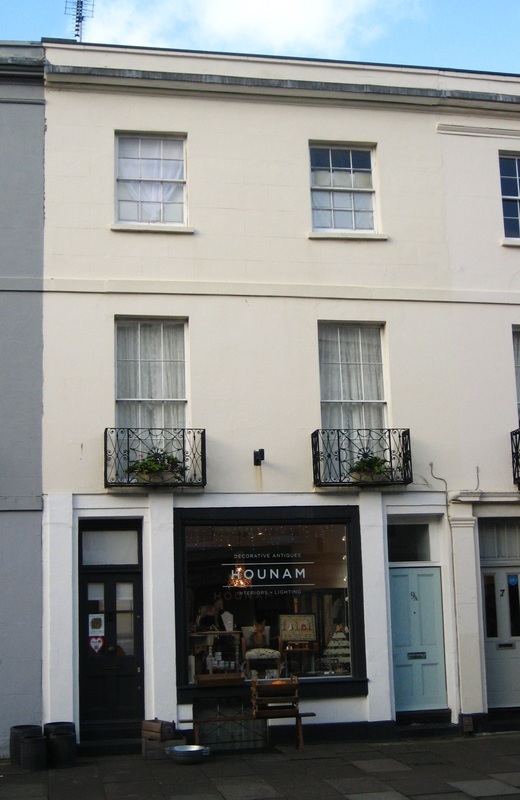 In 1836 it was, in common with other premises in this row, a private house, although the large number of visitors to Cheltenham that stayed here early in the 19th century suggests that it was either let for the "season", or took in boarders. In 1852 the house was recorded as being in the possession of Mr Cox, a musician. He was followed in about 1854 by Christopher Lane, who was a carpenter but later described himself as an ironmonger. By the early 1870s Mr Lane had taken his son George into partnership in his business and it was here that George's daughter Lucy was born in October 1871. In 1881 John Carey Phillips, applied for his grocery shop here to be licensed to sell liquor. His wife was cited as the tenant of the shop later that year, when the building came up for sale. Since Mr Phillips was declared bankrupt in the autumn of 1881 this may have been a device to protect his tenancy. By 1888 the Phillips' had left and the house was occupied by George Davis, a plumber and builder, whose wife Eliza died here that year aged just 30. In 1897 Mr Davis described himself as a builder, gas fitter, painter, decorator and plumber. ​In 1901 the local paper carried an advert for three bedrooms to let in the house, together with a kitchen, larder and scullery, for 4 shillings and sixpence (22 pence) per week. Two years later the same accommodation was offered for only 3 shillings and nine pence. By 1909 the premises were occupied by William Thomas Barton, the tailor, and his family. In September 1914 Reginald Barton, of this address, was one of 84 men who responded to a call for recruits to join the Gloucester Regiment for training for active service in the Great War. William Barton later moved to Gratton Road and died in March 1937, aged 75. In around 1936 the shop became a ladies hairdresser which was the business of Joyce Moss. Her husband Ernest, a garage proprietor, traded in used cars from this address for many years in the 1930s and 1940s. In 1946, for example, he advertised a 1936 Chrysler 28 h.p. shooting-brake for sale for £575. 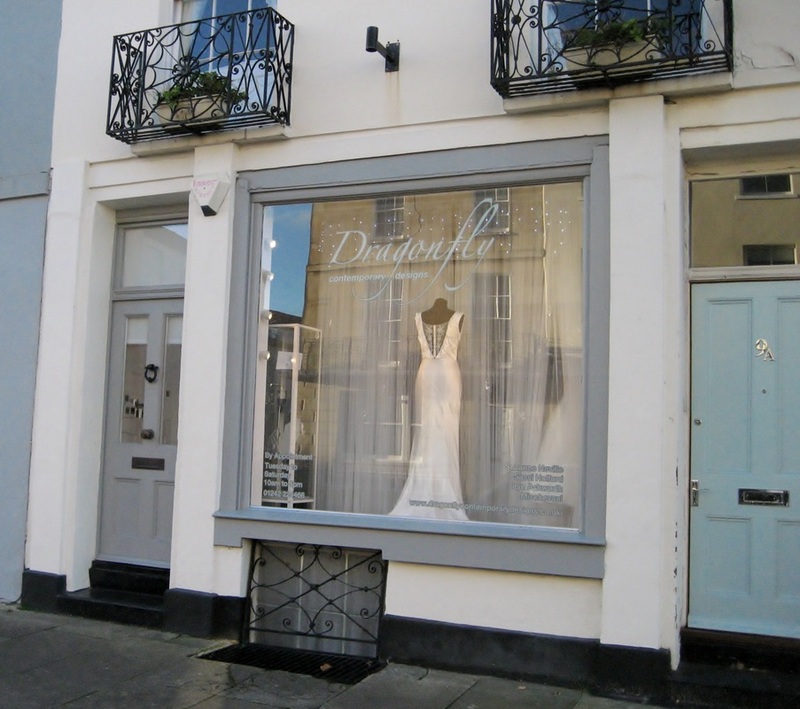 The hairdressers was being run by Mrs I Howes by 1961 and from 1969 to 1975 the shop accommodated the London Clothing Co Ltd.
​Since about 2008 this shop has been owned by Suzi Hounam-Brooker, first as a wedding dress company called Dragonfly and from 2015 as Hounam, a decorative antiques and interior design company.